The Home Stretch | Richy923: Published! Richy923: Published! A One-Man-Band's DIY Production Journal. 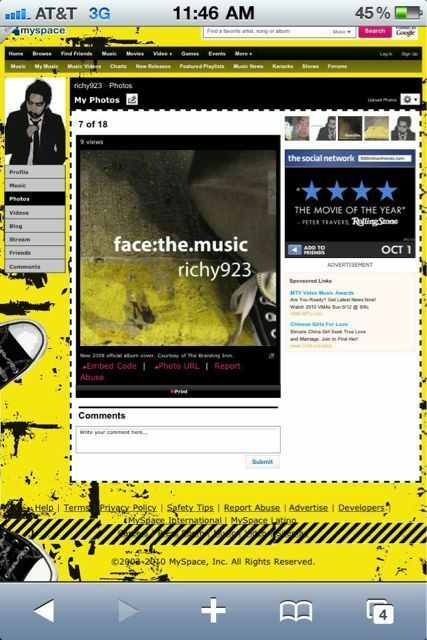 First off, I love how Myspace’s “custom wallpaper” looks absolutely NOTHING like the album artwork for face:the.music. Now as for the production for King Friday, I have 4 more tracks to go before I can start the mastering process for the CD. Hopefully I can cut two a week, master by the third week and be ready for the release by the infamous date of Sept. 23 (9/23)! Not likely, since there’s more to be done after the mastering; new distribution methods, marketing, etc. But in the event I am done before then, I’ll have it available for a free download for Facebook friends on 9/23 and plan a US release through iTunes, Amazon, Napster and Rhapsody by Mid-October. In the meantime, I’ve been doing the typical “check out this song” posting on Facebook and Twitter. I’m sure it’s probably annoying to some of my friends on there (maybe they consider it spam or whatever) but shameless plugs are part of the gig being a one-man band. It’s just gotta be done. Some of my “friends” either don’t know that I make music or they’re checking their Facebook on mobile devices, so my music posts are pretty much hit or miss. But I do wanna say thanks for those who have given feedback, through FB Likes and retweets, your feedback lets me know I’m doing the right thing. This entry was posted on September 13, 2010 by richy923. 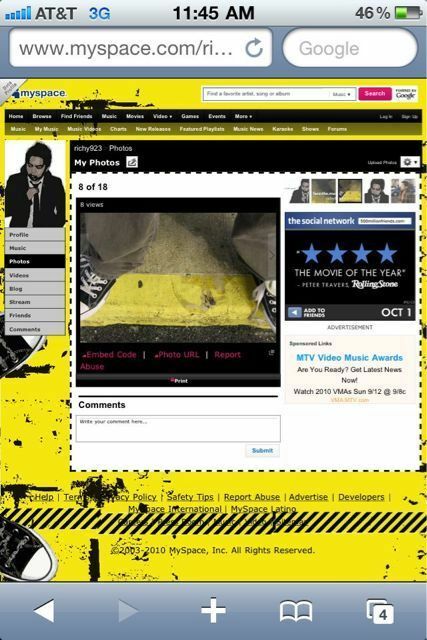 It was filed under music and was tagged with facethemusic, kingfriday, production. Buy King Friday now on iTunes! !